If you’re reading this blog, you’re probably a lover of mantra and kirtan—whether you like traditional call-and- response chanting or mantras set to dubstep. Kirtan (the practice of chanting the names of the Divine in a group setting) is one of the best known practices of Bhakti Yoga in the West. But did you know that there are lots of other ways to cultivate Bhakti (loving devotion) in your daily life, too? The Sound of Silence: Headphone Yoga Experiences by Sound Off™. In today’s high bandwidth world people are inundated with background noise of all sorts. Acoustic ecology, sometimes called ecoacoustics or soundscape studies, is a discipline studying the relationship, mediated through sound, between living beings and their environment. Comprehensive studies in acoustic ecology like the World Soundscape Project based out of Simon Frasier University in British Columbia have extensively documented the effects of ‘positive noise’ (waterfalls, birds, etc.) in urban environments on its inhabitants. Other studies noted in wikipedia demonstrate the negative impacts which range from increased levels of anxiety and hypertension, to hearing impairment, irritability and sleep disturbance. Given that noise pollution is a fact of modern life and is not getting enough mainstream media attention to change anytime soon, what options do we have for reducing the adverse impacts of low fidelity life in the city? Loving the app! SLO based yogini Tulsi Bagnoli shares some yoga music insights. Q: How do you sync your teaching flow with your playlist? A: I conduct my classes based on my intuitive sense of each students needs and with where the flow of the music guides me. I feel out my students and usually pick the playlist at the beginning of class. I allow the music and my inner feeling experience of the class to guide us on a unique experience in Self exploration. When the music ebbs and flows, so does the asana and energy in the class. Q: How does music play a role in what you do? A: I only began using music in my classes in the past 7 years and have found that it is an intricate part of my teaching practice. Music has a way of expressing the inexpressible magic that we are aiming to tap into during our sadhana (practice). The music beckons one deeper into the experience of the self, away from the changing world… From the ever-changing we are guided back to the non-changing. Music I feel is a link that tangibly expresses the essence of one’s true nature and therefore is a perfect vessel for stitching the divine into our yoga practice. Q: Please tell us a bit more about the collaboration between yourself and Veronique Dumont, for example who brings what elements to this project. A: It is a very interesting project. Initially I build a base with a drone and some harmony then send that to Verionque. She records a specific mantra to what I’ve created then sends me back the recording along with instructions regarding length, dynamics and rhythm. Included will be an explanation of the mantra so that I can get a deeper feel for what she wants. The next step is for me to add more sounds and harmonies to embellish her vocals. This back and forth process is a very gratifying and efficient way for us to work over distance. Q: Is working with Veronique the first time you’ve done mantra based music? A: Yes, and I am very thankful that this “door” has opened in my journey as an artist. On a wet, rainy Spring evening, Rara Avis and I hunkered down on Salt Spring Island, BC and went into the YogiTunes catalogue; selecting standout tracks from new titles and creating a flow with some classic and much loved tunes. Inspiration was sparked and the trail was blazed. The opening track, Thin Line of Blue, is from Six Degrees artist Karsh Kale’s new and very appropriately titled album UP. We are hugely impressed with the composition, production and performance throughout this new release. Thin Line of Blue starts our journey brimming with elation and positively memorable melody. 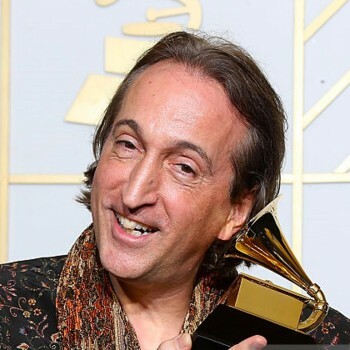 David Starfire is a world-renowned producer/composer/multi-instrumentalist/DJ who has performed at some of the most amazing places on earth including the Pyramids of Giza, The Colosseum at Caesars Palace and Coachella. He’s a top electronic music producer; known for fusing world music with electronic dance music, dynamic performances and epic remixes. We recently caught up with him to talk about his new project “Karuna” which he created to help raise awareness and funding for Burmese refugees. Joss Jaffe began playing guitar and writing songs at age nine. Introduced to the music of India through the chanting of his parents and their meditation teacher Baba Muktananda, he began studying tabla, sarode and vocal from Montino Bourbon at 15 – and later with Ali Akbar Khan, Swapan Chaudhuri and Zakir Hussain. Joss has accompanied Jai Uttal, Steve Kimock, Alex Grey, Rachel Brice, Silvia Nakkach and Shimshai. His most recent album “Dub Mantra Sangha” was a collaborative undertaking featuring Mykal Rose (Black Uhuru), Shimshai, Jai Uttal, Dave Stringer, Wah!, Donna De Lory, Silvia Nakkach, Jaya Lakshmi, Karnamrita Dasi, Suzanne Sterling, Masood Ali Khan, Sheela Bringi, Aco Takenaka, and Sophia Mae Lin. His pedigree and connectivity in the yoga music world made him a prime candidate to talk to about his journey. Spontaneous Joy! Like surfing, music is about riding the waves. What made you decide to take on such a collaborative project like this? I’ve been blessed to work with all the fabulous artists on the album over the years as tabla player, bassist and back-up vocalist. The only artist I had never performed with previously was Mykal Rose. The album grew naturally and more and more people expressed interest in being a part of it. It became a Sangha (community) and so we chose that name. And the Grammy for Best New Age Album goes to… Paul Avgerinos! Poses in the press room during The 58th Grammy Awards at Staples Center on February 15, 2016 in Los Angeles, California. When Paul Avgerinos graduated from the Peabody Conservatory of Music in 1980 as a full scholarship honors student, he had already performed with Isaac Stern, Jean Pierre Rampal, The Beaux Arts Trio and many other great classical artists. Throughout his career, he has released over 20 solo albums and is one of YogiTunes’ most popular artists. His most recent release “Grace” won the Grammy this year for Best New Age Album, so we decided to reach out and get to know this prolific artist a little bit more.